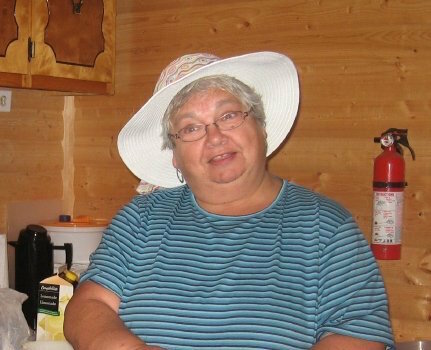 I was saddened today to learn of the passing of Beve Butler, Past President of the Grand Falls-Windsor Heritage Society, and a friend of us here at the Intangible Cultural Heritage office. Beve was a great champion of local heritage and oral history, and the key motivator behind the Heritage Foundation of NL's work to digitize the oral history collections of Mr. Hiram Silk. Beve was a force of nature, and not only in heritage circles---a person with a huge heart and boundless enthusiasm who inspired all of us with her dedication and passion. She was a tireless champion of heritage to the end. I will miss Beve and her enthusiasm for local heritage. I am thankful, however, that I had a chance to sit down with Beve at her home last year, and record some of her stories of her early life. We chatted about everything from her childhood years in Grand Falls and Lethbridge, to her Christmas memories, children's games, and her life in education. You can listen to that interview on Memorial University's Digital Archive Initiative. A reception will be held at the Royal Canadian Legion on Queen Street in Grand Falls-Windsor on Wednesday, 17th February, 2016, from 6:30 to 8:30 pm, for anyone who would like to come together to share memories of Beve and to express their sympathies to the family. Thank you so much for this, Dale. We are so lucky that she touched our lives. She will be hugely missed. Beve was a huge support to me when I was with the Botwood Heritage Society, and a supporter of the Society as well, especially when we were "cleaning out the paper mill". I will remember her fondly.